Because of my last name and the name of the business, The Crafty Snowman, I seek out snowman-themed fabric that I can use on pullover sweatshirts. 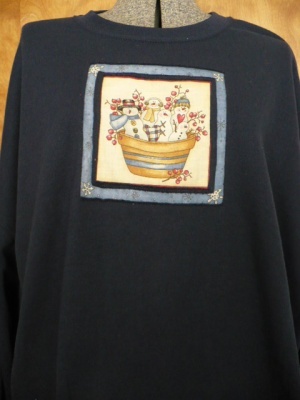 This gallery showcases some of those sweatshirts. Hope the pictures bring a smile to your face!